This year we are working on the 12 Days of Christmas Treats…come back to see the updated list as we move through December. Check out our other Favorite Holiday Recipes here. Caramel Apple Dip – Super easy to put together for any upcoming party! Italian Chocolate Chip Cookie Bars – Shannon’s family is Italian and she learns from the best. Yum! 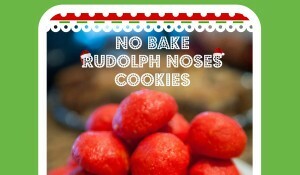 Reindeer Christmas Sugar cookies – the kiddos had fun making these and begged to eat more! Christmas would not be the same without making Sugar Cookies. Give our Ultimate Sugar Cookie Recipe a try and make some memories with your children!